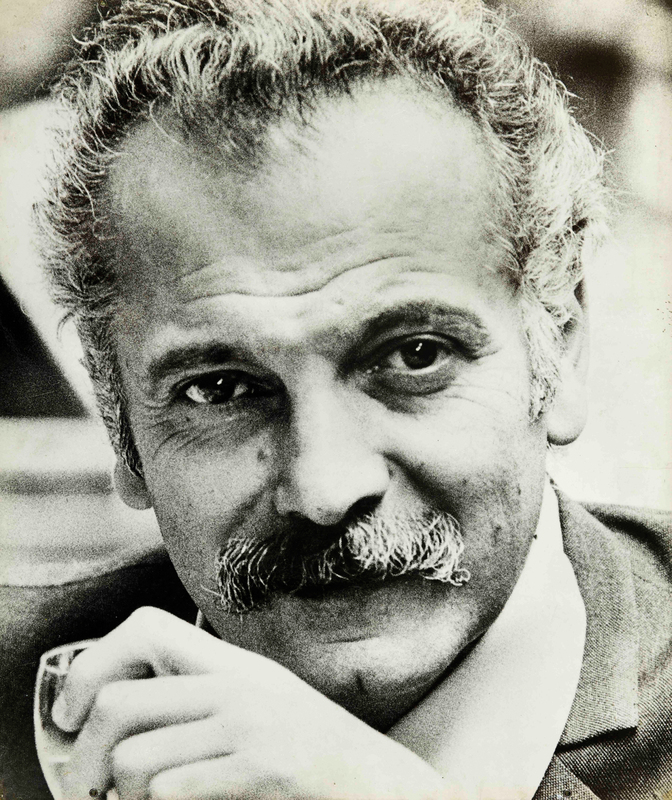 Georges Brassens – was a French singer-songwriter who became a French cultural icon. Brassens’ most famous songs are La Mauvaise Réputation (1952) and Les copains d’abord (1964). He wrote some extremely controversial, yet poetic songs. Brassens had a conflict inside for using strong words in his music. Brassens is well-known for his symbols such as mustache, guitar, pipe and… cats. Born on 22 October 1921, in the town of Sète in France, initially, Brassens wanted to be a poet, but came to love music above all. His mother was a devout Roman Catholic, while his father was an easy-going, generous, open-minded, anticlerical man. Brassens grew up between these two starkly contrasting personalities, who nonetheless shared a love for music. It was his first passion and the path that led him to his career. Brassens once told his friend music is a kind of internal vibration, something intense, a pleasure that has something of the sensual to it. Alphonse Bonnafé, Brassens’s ninth-grade teacher, strongly encouraged his apparent gift for poetry and creativity. Brassens had already been experimenting with songwriting and poetry. He later recalled Thanks to this teacher, I opened my mind to something bigger. In February 1940, Bressens moved to Paris and lived with his aunt. He spent most of his days in the library. Brassens meticulously studied the great masters: Villon, Baudelaire, Verlaine and Hugo. His approach to poetry was almost scientific. Reading, for instance, a poem by Verlaine, he dissected it image by image, attentive to the slightest change in rhythm, analysing the rhymes and the way they alternated. Brassens loved the Middle Ages and used a great deal of old French vocabulary, as well as many classical – ie., Latin and Greek – references. Few people, even in France, possess the background to fully understand his songs. In March 1944, he took refuge with Jeanne and Marcel Planche and they were surrounded their cats in large numbers. During the wartime, he kept writing poems and songs. No water, no gas, no electricity, Brassens came here for a temporary stay, but he chose to stay for 22 yeays until 1966 even after he’d achieved success and fame. Les chats, je les adore , as he stated he loves cats so much, he kept a lot of cats. He didn’t name any one of his cats. Instead, he called them Le Chat , merely a cat in respect of their freedom. He didn’t call them out to come, but waited for them as they were willing so. Cats are often mentioned in his songs and many of them became famous. In this world, you have to sell something to live by. It may be your time, your talent, your privacy… Where there is demand always supply follows. In Brassens’ case, it was dirty songs . Although these words are not his daily vocabulary, dirty words, coarse words can evoke strong emotions in people which is very powerful and marketable. Brassens muses over his reputation as a writer of dirty songs in this song. After Brassens had achieved success, he no longer had to endure poverty. He was a wealthy man, living in the greatest of comfort. This comfort might feel flat, very flat and it could have been the main sentiment for missing his good old days when he was very poor and very happy. Do you think when you get rich, the very richness of materials and possessions could kill your appreciation and excitement for life itself? Brassens crafted his words fueled with anarchism and black humor, and rhythms with his true thoughts and feelings. He tantalizes and entertains with different levels of meaning, he became a true lyric poet as he wished to be. Even after he died in 1981, his influence gathers its power and expands beyond borders.